We saw a huge press coverage for the launch of Mahesh Babu in the Multiplex trade in association with the Asian channel and his other friends. AMB Cinemas recently opened in Hyderabad and receives praise for its laser projection and sound system. He also has a special screen for ViPs, it seems. The latest is that Allu Arjun also embarks on the theater sector and is seeking to renovate the Ameerpet Sathyam theaters in association with Asian. This raised a question among the usual audience: are theatrical affairs successful? Not so long ago, many simple screens had to close, due to reduced occupancy and the number of successful films produced by TFI. Piracy has worsened the situation and many popular theater chains have ceased operations or converted into large reception halls. The few remaining companies depended on large production houses and rich distributors to renovate and resume their activities. 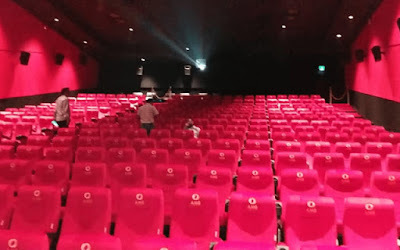 The proliferation of multiplexes has also affected the unique screens sector and movie viewing has also become a difficult task for a normal audience. They decided to choose better theatrical experiences in the multiplexes and prefer to spend more than 1,000 rupees for one or two multiplexed movies per month. They openly publish movie hacking links and even share their opinion of the quality of the print video available online. The interesting fact is that leading consumers of multiplexes, such as IT employees, are the first to share quality hacking links as soon as they can find them. With so many multiplexes open in the subways, the public is trying to find a better quality food, cheaper, with more options and especially the distance that separates them from their respective homes. If they have to travel more than 5 or 10 km, Internet users have the feeling that the time lost is a waste of time and that they prefer to go to a shopping center instead of resorting to multiplexes to watch movies. This is one of the main reasons why Geetha Govindam, Rangasthalam and Mahanati achieved extremely positive results, while Bharat Ane Nenu, 2.0, Aravindha Sametha, after the first weekend, had to run with 50% -60 % of occupations even though they may have a modest positive conversation. The average person watching movies is changing every year and young people are happy to spend more. 250 / - or 350 / - once a month on the best screen possible for a single movie. Even the increase in rates has added to the overall drop in the number of spectators in the theaters. In cities where ticket prices are above 120 Rs / -, the days of the week record record receipts. As a result, filmmakers YVS Chowdary and V.V. Vinayak, who had already entered the theater business, sold their theater to other major TV channels, it seems. Now, in such a situation, Mahesh Babu and Allu Arjun, who are embarking on a theater venture, have taken a look at the business model they are seriously considering! They seek to mix the best possible experience by providing screens with normal screens. Still, with the opening of more multiplexes in Hyderabad in 2019 and 2020, with each average viewer finding a multiplex screen within a radius of 3 to 5 km, can its model be extremely successful? We must wait and see. But if that forces them to work with better technically sound directors and content-oriented movies, we should welcome competition, right ?! Sai Pallavi vs Sai Pallavi on December 21st! RRR: NTR trainer puts an end to rumors!